The number one challenge in any studio environment is keeping the studio pleasant to work in. HealthMate filters out 99.97% of irritating air particles as well as smoke, gases, and odor, including those caused by most studio solvents. Healthmate's HEPA filter effectively cleanses 1500 square feet (139 square meters) of space twice hourly. 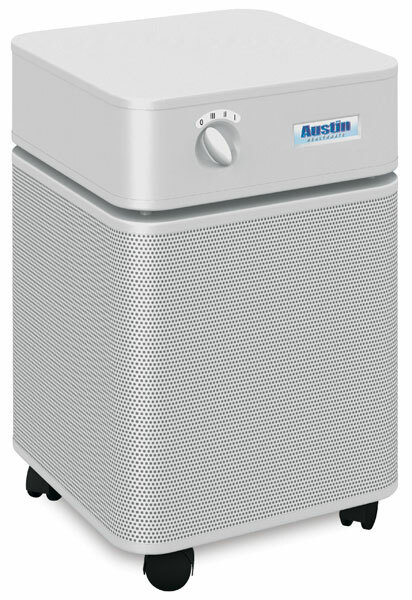 Consuming 50% less energy than other air cleaners, it produces no ozone, ions, or negative ions that can be harmful for those suffering from respiratory problems. This air cleaner features 360-degree air intake for placement anywhere (including corners) and offers 3-speed operation. The only cleaning required is periodic vacuuming of the outer screen. It's constructed of durable steel and has easy roll casters.